One of the main reasons for online shoppers to abandon their shopping carts are high and not exact shipping costs. If you are looking for an all-in-one shipping tool for your Magento 1 or 2 website, pay attention to the portfolio of MageWorx. The company offers a reliable solution that provides the ability to manage all aspects related to shipping. The module provides store owners with advanced features enabling them to modify standard shipping costs and create custom rates, as well as offer free shipping or discounted rates for specific locations. With the MageWorx Shipping Suite Ultimate module, ecommerce merchants can extend the default shipping rules and restrictions available on Magento platform. 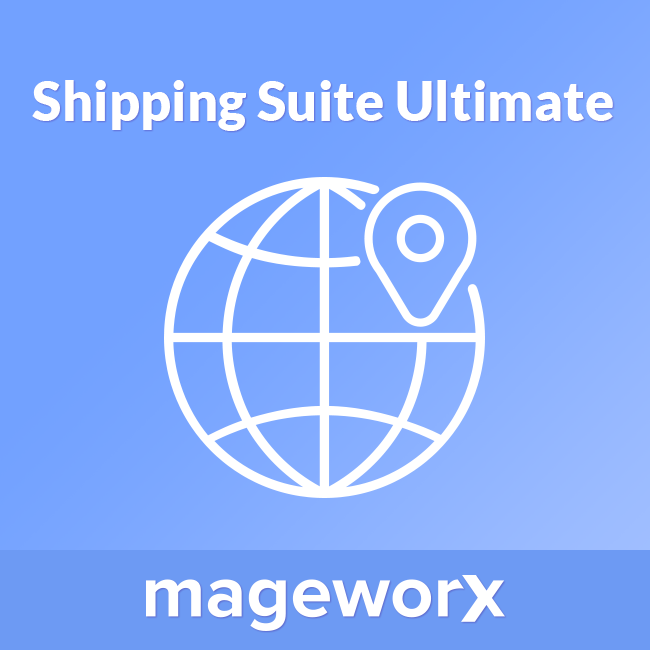 The MageWorx Shipping Suite Ultimate extension provides the ability to streamline advanced Magento 2 shipping rules and restrictions, enables flexible delivery rates, and lets you create highly customizable shipping methods. With the extension, you can customise your shipping rules based on the combination of any product, cart, or address attributes. In this way, you can create one set of shipping rules applied to heavy-weight goods, and a different set of rules for nighttime delivery. As a result, you get more control over your shipping procedures, expand your target delivery locations, and increase your ecommerce business profit diversity. Below, we describe how the Magento 2 shipping extension works from the perspective of store administrators. Having an extensive list of shipping carriers helps merchants bring more customers to their stores. Due to lower shipping costs, customers might prefer making purchases from local stores. That is why the primary concern of every online store shipping wares abroad is finding carriers with the best costs. With the MageWorx Shipping Suite extension, merchants can provide customers with a broader choice of shipping carriers and affordable shipping rates. With the module, merchants can create custom shipping carriers and deliver their products at fair rates to any locations. The Shipping Suite module also brings users a unique feature for modifying shipping costs of widely used shipping carriers, like DHL, FedEx, UPS, USPS, and more. You can choose to use default shipping methods or custom shipping methods. Every out-of-the-box shipping method can be modified. Besides, you can limit shipping methods for specific products (e.g., heavy, large, fragile). The module does not put any limitations on the number of shipping carriers, methods, and rates that you can create. With the module’s advanced configuration settings, users can decide how shipping methods are displayed on the storefront, choose price calculation method for shipping rates, merge specific countries into shipping zones, and more. Admin users can hide shipping methods on the frontend if no valid rates are available and set custom error messages in case of a chosen shipping method unavailability. As for the rates configuration, multiple rates price calculation, as well as minimal and maximal method price threshold can be used. Admins can set location groups to merge geographical areas where merchant ships frequently. For example, a location group can be created for the EU region as EU countries have the same shipping costs. Shipping rates are based on flexible conditions, such as cart attributes (cart weight, subtotal, and more), price range, quantity range, or address attributes (country, phone, and others). Shipping rate is a price at which a certain order is delivered from point A (merchant’s warehouse or store) to point B (the customer). With the extension, shipping rates can be defined for each new/existing shipping method. Their amount depends on various factors, such as the mode of transport (truck, train, ship, aircraft), the weight of the ordered goods, product dimension and the distance to the delivery destination. To configure Shipping Method, go to STORES ⟶ MageWorx Shipping Suite ⟶ Shipping Rates. It is possible to modify and re-calculate shipping costs according to your business requirements. For example, you can both add fixed or percentage surcharges, and offer discounts depending on various conditions. Once the carrier is setup, you can configure the Shipping Method for this Carrier. A shipping method is a way to fulfill the delivery to customers via a shipping carrier. Shipping methods can vary according to different criteria, such as a warehouse location, country, shipment sizes, weights, the desired delivery time. These ETAs can be set in hours or days and the message itself is fully customizable. Magento 2 Shipping Suite Ultimate by MageWorx enables you to create flexible shipping rules based on products, addresses, and cart attributes. With advanced shipping rules configuration, you can attract more customers providing them with different shipping discounts. For instance, it is possible to offer shipping with a 15% discount during certain hours or dates, like weekends, 10% discount for delivery to specific regions, or 5% discount for overnight delivery. You can also create shipping rules based on the price of particular products, rather than the entire order. You can create shipping rules with the order subtotal condition after a discount is applied. You can set a specific period when the shipping rules should be functional or disabled. The MageWorx Shipping Suite Ultimate module allows users efficiently manage all the information related to shipping procedures in the backend. The module provides admin users with advanced functionality for managing alphanumeric postal or zip codes. Admins can import or export essential shipping data of all shipping carriers, methods, and rates, and use it for developing their shipping strategies. Rules can be created per a store view or customer group. 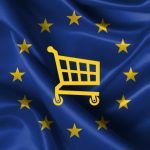 This feature is particularly useful for merchants who have international ecommerce business or use multiple currencies on their online store. The Shipping Suite Ultimate module significantly improves frontend user experience with the enhanced default Magento features. Website visitors do not have to manually specify their regions for a shipment country, thus reducing the risk of misspelling and saving their time at checkout. The extension provides GeoIP functionality for automatic detection of a customer’s location. You can customise shipping location popup and add it to your storefront to allow shoppers quickly select their country and region for delivery. You can add the popup to any page of your website and insert images for chosen shipping zones. It is possible to override the estimated delivery time for a chosen shipping method using minimal and maximal parameters of the shipping rates. In this way, customers are always aware of the exact time of their order delivery. On the frontend, delivery time will be displayed next to the shipping method, whether in a customer’s cart or on the checkout page. Now, let’s have a look at how things are done in the backend. The module provides admin users with advanced features to customise shipping rules according to specific needs of a web store. Below we are describing different rule options to help you understand better the extension functionality. Use Time (if Yes, specific hours range are set for the rule to be active or not). After clicking on the “Add New Rule” button, New Shipping Rule screen will open with four tabs of options: Rule Information, Conditions, Actions, and Apply to Items. In the Rule Information, you specify such parameters as Rule Name, Description, Status, and Priority. In this tab, you also choose store view and customer groups. Next, you choose which days the rule will be available, when it starts and ends, and whether to apply specific time range for the rule’s activity or inactivity (“Use Time” checkbox). The Conditions tab is absolutely the same as the one above. As for Actions, you should choose a type (modify shipping cost or/and hide Magento 2 shipping method or/and change data) and decide whether further processing should be stopped. In the Action tab, you also get the possibility to assign a title to a specific shipping method. Apply to Items tab allows you to apply the rule to some products in a shopping cart using their various attributes. It lets you apply the rule to certain products in the cart using their various attributes. By default, the extension uses the rules for the whole cart. If you need to apply some rules to some particular products in the cart, you need to specify them in the apply to button tab. One of the latest features added to the configuration of the MageWorx Shipping Suite extension is the ability to create custom shipping zones. To view and manage your shipping locations, navigate to Stores → MageWorx Shipping Suite → Locations Groups (Shipping Zones). You will see all created shipping zones in the grid. To create a new zone, click on the “Add New Location Group” button in the top right of the page. Location Group configuration consists of two tabs: Location Group Information and Conditions. In the General Information section, you should specify the name for your shipping zone and can add a description to find the group easier when necessary. Here you should also activate or deactivate the group, set the priority, and choose a store view. Conditions tab can be configured in the same way as in the Shipping Rules & Restrictions settings. Another feature added to the extension configuration lately is the possibility to add the location block on a storefront which opens a Shipping Zone popup. To configure the shipping zones popup, go to Stores → MageWorx Shipping Suite → Pop-up Zones. When adding a new zone, you will need to set the options in two tabs: Pop-up Zone Information and Labels. First, specify the name, description, and upload an image for a popup zone created. Then, activate the zone to make it displayed on the frontend, set the priority, pick any number of countries, and select a store view. In the Labels section, you can set specific labels per a store view. Another significant improvement of the frontend user experience added is the Country Regions configuration. The feature allows frontend users select their country regions with no hassle as configured in the backend. Magento admins can edit default regions and create custom regions from the Stores → MageWorx Shipping Suite → Country Regions menu. To add a new region, you will need to specify the Country, its Code, the Default Name and Name of the region. Here you also enable or disable the regions, and enable custom regions to be able to filter them later for your convenience. This extension supports the correct management of the alphanumeric postal codes (like the ones that are used in the United Kingdom). The setup of these postal codes can be found under STORES ⟶ Configuration ⟶ MAGEWORX ⟶ Shipping Suite ⟶ Validation. Please note that enabling the advanced postcode validation wouldn’t interfere with the default postcodes rules with the numerical postal codes. If the Advanced Postcode Validation: Is Enabled setting is set to Yes, the postcode itself is separated into several zones. The zipcodes are compared with these parts accordingly. 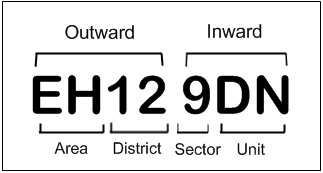 If the area of the outward part (letters) is the same, then it checks the district and so on. This allows to handle such postcodes correctly (even in the rules with the possibility to compare them in the less than/greater than format). If the merchant wishes to set some rules for all the postal codes within some area or district, it may be important to enable the Advanced Postcode Validation: excessive data means postcode is valid setting. After that, the store owner can use the partial postcodes, such as only the area in the outward part of the postcode. 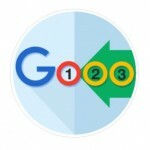 This allows minifying the number of the postcodes for the rules. As for the general settings of the MageWorx shipping method, they are available under Stores → Settings → Configuration → Sales → Shipping Methods -→ MageWorx Shipping. The method can be enabled/disabled; you can change its title and name, set price and handling fee, specify an error message text, and choose what countries can be items shipped to within this method. And, of course, there is a sort order. That’s how you create a custom shipping method. If a popup zone is added and enabled from the backend, it will place an additional block on the top of a page in the website frontend as shown below. When a website visitor clicks on this block, a Shipping Zone popup will open, where a user can select their country and region for shipping. Choosing location helps customers calculate total shipping expenses, since estimate shipping cost for the selected area will appear in a shopping cart. Country Regions configuration in the Magento Admin allows frontend users quickly find the relevant region, state, or province for their country at checkout. As you can see, the MageWorx Shipping Suite Ultimate Magento 2 extension adds a lot of useful features essentially improving the default Magento functionality. You can purchase the Magento 1 module for $99. As for the Magento 2 extension, it costs $299. Lifetime support and updates are guaranteed in both cases; and in case of upgrading from M1 to M2, you can get a 50% discount.